I met Elizabeth when she was very little thanks to baton twirling and being on the same team together. Although we didn't actually twirl together, I was able to get to know her through coaching her. As Elizabeth got older, I could tell how incredibly smart and funny she was, and I am so glad to have been able to watch her grow up in to the amazing young woman she is now. 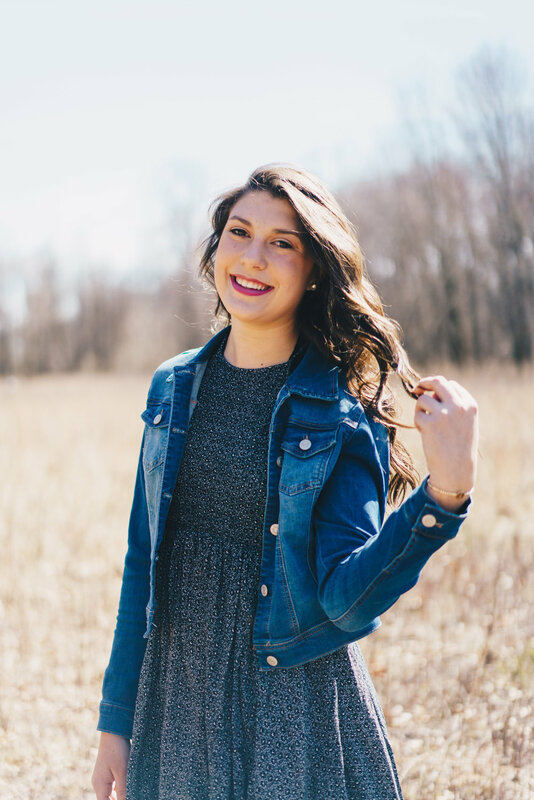 When I realized that Elizabeth was a senior this coming year, I immediately reached out to her about her senior pictures and if she had a photographer yet, I was so happy to hear that she would love for me to do her session! Our session was on the first day it really started to feel like spring in Ohio, so of course, Wildwood Metropark was super busy. We didn't let that stop us from having a great time though! It was so great to catch up with Elizabeth and hear all about her future plans! Here are some of my favorites from Elizabeth's session!